Well, it was bound to happen. Somebody drove the car away WHILE it was plugged in! OK, technically, that’s not right. A major safety feature of the SAE J1772 is that it DOESN’T allow you to activate an electric car when it’s plugged in. However, if you manage to THINK the car is on, put it in drive and ROLL forward, the electronic controls can’t stop that. At least, as far as I can tell, that’s what happened. My wife felt terrible about it, but at least the car wasn’t damaged. The charging cable, on the other hand, took a fair amount of damage. The power pins were bent, bits of plastic shattered and went everywhere, and it sure didn’t look like the best thing to be running power through. Just today, I finally had time to work on repairing the charging station. My home wall charging unit is a G.E. Watt Station. It’s rated for 30A, 240V, and can be used indoors or out. I’ve had it inside the garage for the winter, as I’ve been able to park the Mitsubishi iMiEV indoors. First thing was to kill the power, unplug the unit, remove the charger from the wall and take off the trim ring. Under the ring is a number of screws, which I pulled out. That let me take off the plastic lid. Under that was a large steel plate, held in by four screws. Removing that let me get at the real guts of the unit. it looked pretty easy to replace the cord. I simply loosened each of the four wires with a straight screwdriver, and was then able to pull them from their terminals. There’s also a connection that holds the entire cable into the box of the unit. I unscrewed the compression nut from around the cord and pulled the cord out of the unit. Next, I transferred the nut to the new cable, ran the cord into the box, and then checked to see how the wires would reach. The cord was the same thickness (three 10 ga wires, for 30A power) and it looked like the compression nut would tighten back down just fine when I was done. I cut off about an inch of the insulation to make the wire reach as needed, lined each wire up with its appropriate terminal, put it in, and screwed it down. After that, I tightened the compression nut, tested the unit, and then reassembled it. The charging station mounts on a sturdy stainless steel bracket. I simply had to run 3 screws through it into the outside wall of the garage. The charger hooks on the bracket, and then a key lock in the bottom mounts it securely to the bracket. The Nema 6-50 cord plugs in to the outlet I already installed on the outside of the garage just for that purpose. Lastly, I hung up the cord by looping it around the station and went to plug the end of the cord into the middle of the station where it is stored while not in use. Oh No! It didn’t fit! Although the J1772 standard means the end connection is standardized, the rest of the “handle” is not! The new one was just enough of a different shape (geometric, instead of rounded at top) that it wouldn’t fit! Oh well. I guess the cord can just hang there, and that’s fine. At least I’m now back up to 240V charging for at home! PS: On further experimenting, I found that I could fit the plug into the socket on the charging station. It’s tight and if I push it all the way in so that it clicks in place, it’s difficult to get back out. Still, it CAN fit in! Hey, ever seen this, and considered it for backup power. 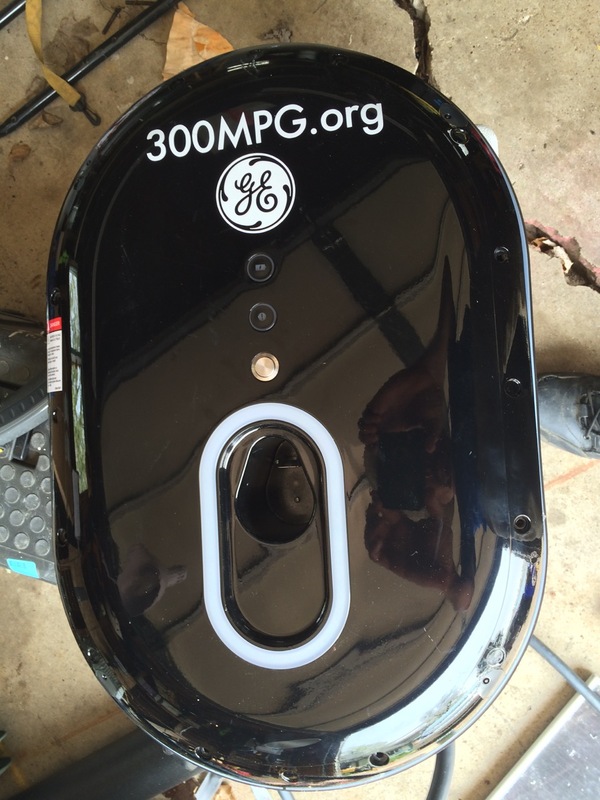 From the i-MiEV ChaDeMo to the powerbox to your appliances. No Generator required ! I thought it was a simple cool addon to an EV. I don’t have an EV, but some day. The recent potential of 200mile range should do it for me. I’m familiar with that, in fact, there was just an article in HOME POWER magazine (issue 173) about it. I’m almost surprised that somebody hasn’t already come up with a good, affordable, practical system that lets a person tie their electric car into their house for use as backup power. Grid-Tie inverters for solar photo-voltaic power already work in the range of voltages that electric cars use for their batteries. Theoretically, it shouldn’t be too hard to draw power from a CHAdeMO connection, invert it to 120 or 240V 60z power, and feed it (safely, disconnected from the grid) to a household main breaker box for key electrical loads. 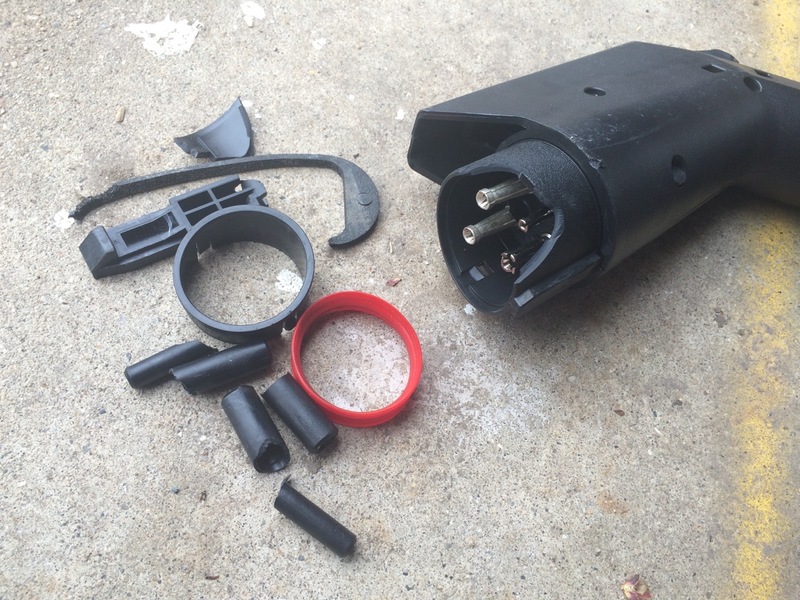 The hardest part is probably just the cost of CHAdeMO connectors! It would be amazing to get an Open Source Vehicle to Home project up and running. I’m not quite the right guy for that, as I don’t have the technical background in CANBUS communications nor power electronics, but it seems like the sort of thing that could be done, and perhaps SHOULD be done as a crowd-sourced project. Similar to what the Cal-Cars guys did with the Prius, by adding a plug-in battery, which lead to commercially-built plug-in hybrids, perhaps and amateur project would really kickstart the big guys to start working on these sorts of things. Tesla Motors! Are you listening? PowerWall + Model 3 + a little extra hardware and software = complete personal smart-grid and emergency power backup! 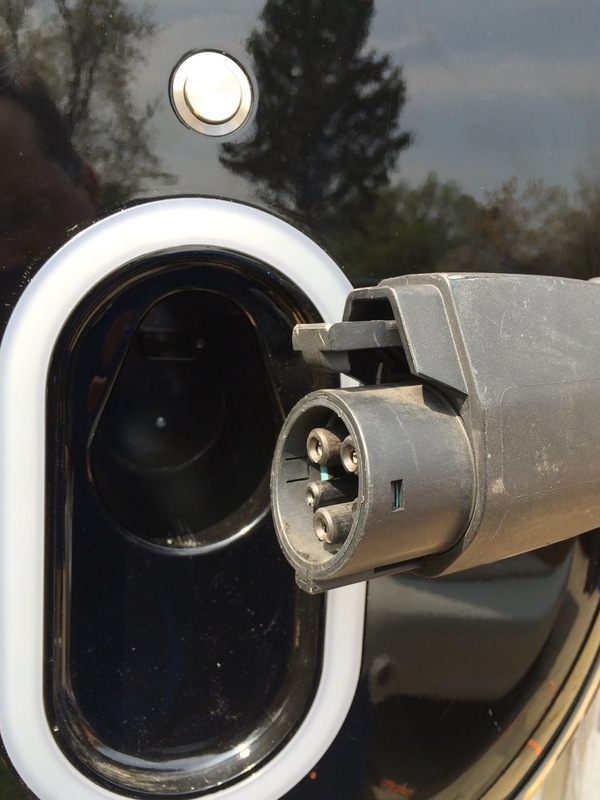 On the other hand, for Level 3 Quick Charging, the external machine IS the charger and it connects more or less directly to the battery pack through the CHAdeMO connector (or CCS connector on some other vehicles.) Because of that, it makes sense to pull power for emergency generation through the CHAdeMO connector or to design a device that can either charge the car OR draw power from the car through that same connector.